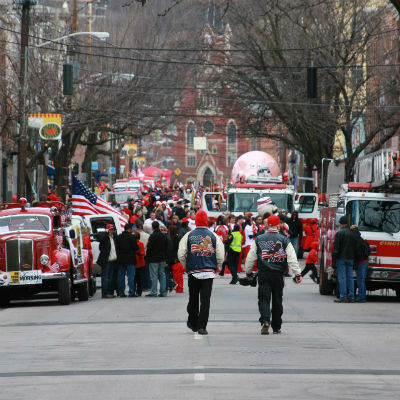 Make history by walking with us in the 100th Annual Findlay Market Opening Day Parade! 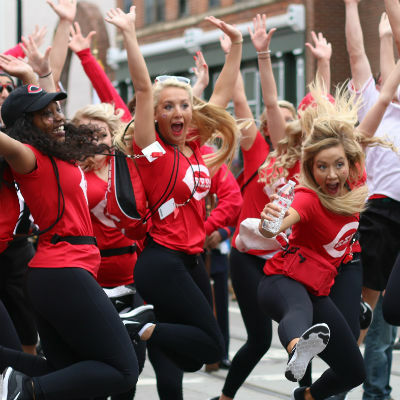 Cincinnati will hold the 100th annual Findlay Market Opening Day Parade, when your Cincinnati Reds take on the Pittsburgh Pirates that afternoon at 4:10PM. Check out those beautiful pansy bowls for your table centerpiece----a bargain at only $10.00 !!! Pansy bowls for a beautiful table centerpiece and only $10.00 !!!! at Kist Gardens in the farmer's market shed. Petwantscincy.com is there too! All the in house fresh pet food and treats you'll ever need! A 164-year-old Market Is the Epicenter of Cincinnati’s Culinary Revival: Why it's worth spending your afternoon at this Over-the-Rhine institution. "The market has gone through moments of both prominence and near-demise since it began operation in 1855, but today, its main market hall — as well as the storefronts immediately bordering it, which together feature more than 50 full-time businesses — constitute the beating heart of Cincinnati’s culinary revival." Thank you, Travel + Leisure, for visiting Findlay Market and learning more about Findlay Kitchen. Love seeing this! A Findlay treasure. My family has a long history on Findlay and Race Streets. Love seeing the Market thriving. This was always the heart of the neighborhood, even when I watched it burn during the riots, it was never going to go away. Cincinnati has always been an amazing food town, at least since early 2000’s if not way before. Just cause there’s white people here now, it’s not a culinary revival, it’s called gentrification.